It is never to early to start making WWE Royal Rumble 2015 predictions. Let’s take a look at the big match, break it down Vegas style, and see who has the best chance of challenging for gold at WrestleMania 31! I thought I’d have some fun and take a look at the chances that each top prospect has of winning the Royal Rumble using Vegas odds. Of course take these odds for what you will as I had Batista last year as the favorite with -200 odds and John Cena as the 2013 favorite with -6.25 odds, although to be fair I had 2012 winner Sheamus with 50 to 1 odds. This year is truly anyone’s guess at this point. Of course things can and likely will change from now until the Rumble in terms of injuries, card placement, and even champions. We all think we know what the WWE has planned for the Rumble and WrestleMania, but what if we are all wrong? Let’s take a look and see what the match looks like on the Vegas sportsbooks. Daniel Bryan – As of today all reports indicate that the Rumble winner is up in the air. If that is true, I have to think that Bryan has the edge. As long as he can get the Yes Movement to rev back up he should be right in the mix for top consideration. I think Seth Rollins being added to the main-event helps out the scenario as well. I love his chances! Roman Reigns – Reigns was the odds on favorite for months to win the Rumble. The plan since last year’s Rumble was for Reigns to win the Rumble and defeat Lesnar at Mania 31. Things may have changed. Reigns missed time and during that time off his momentum cooled off considerably. Reportedly WWE officials are concerned about recent reactions to Reigns at the live events. I also think the situation with Rollins being added to the main-event doesn’t help his chances. He is still a favorite but he is far from the lock he was a month ago. Randy Orton – Orton comes in with very high odds entering this year’s Rumble. 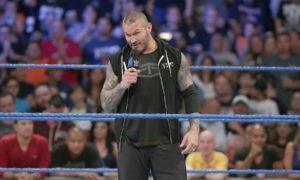 It would seem that the WWE has a big push in store for Orton, who is set to return as a babyface and feud with Rollins. It is not inconceivable to see Rollins win the Rumble and face Orton at Mania. Would it be a disappointment? Yes it would and the crowd would hate it but that won’t stop the WWE from proceeding with what they think is best. Just take a look at last year’s Rumble if you don’t believe me. Sheamus – Sheamus is rumored to be a big surprise at this year’s Rumble. It seems as if the WWE suddenly gets a renewed interest in Sheamus around this time every year, only for that interest to cool off over the next several months. I don’t think a Mania match with Sheamus and Brock is out of the question, yet it is doubtful. However, as long as the big guy is in the mix he is always in consideration of a big spot at Mania. Dean Ambrose – I would have loved to see Ambrose win the Rumble and I still would. Unfortunately the WWE did a great job of capping any momentum he had a few months ago. Ambrose has been beaten and made to look quite foolish in recent weeks. Not exactly the way you want to see someone booked before the Rumble eh? I would have loved to see it and a few months ago when Reigns went out, I would have predicted it. Unfortunately creative got in their own way and screwed it up for everyone. Bray Wyatt – With rumors of Bray facing the Undertaker at WrestleMania, a Royal Rumble win seems unlikely. However, the company is obviously committed to him and what happens if Taker isn’t coming back? What happens if the WWE already knows this or they have different plans for Bray? They obviously like Bray and have big things planned and while I don’t think he is a real favorite to win the Rumble, it certainly wouldn’t surprise me. Dolph Ziggler – Dolph is an interesting guy because just when you think he is relegated to jobber-dom, you get the Survivor Series win. He is being pushed hard right now as part of this Team Cena vs. Authority storyline and while I think Dolph winning would blow the roof off of the building in Philadelphia, I’d be surprised if they went that far with the former intercontinental champion at this time. The Big Show – Show is always in the running because as much as I am bored with him as a performer, the company always keeps him in the mix. I think it’s highly doubtful they go with Show in the title picture at Mania but you honestly never know what this company is thinking. Do I think it happens? No, but it certainly wouldn’t surprise me either. Ryback – The big guy is the final guy who I will give any consideration to winning the Rumble. Ryback is another guy like many above who has been the victim of the start-stop push so you never really know what they are thinking with him. He was reportedly under consideration for a huge push at the Survivor Series, only to see those plans change shortly before the show. You know Vince loves his muscle guys which always makes Ryback a favorite in a Royal Rumble match.